All of us are exhausted from this weekend! 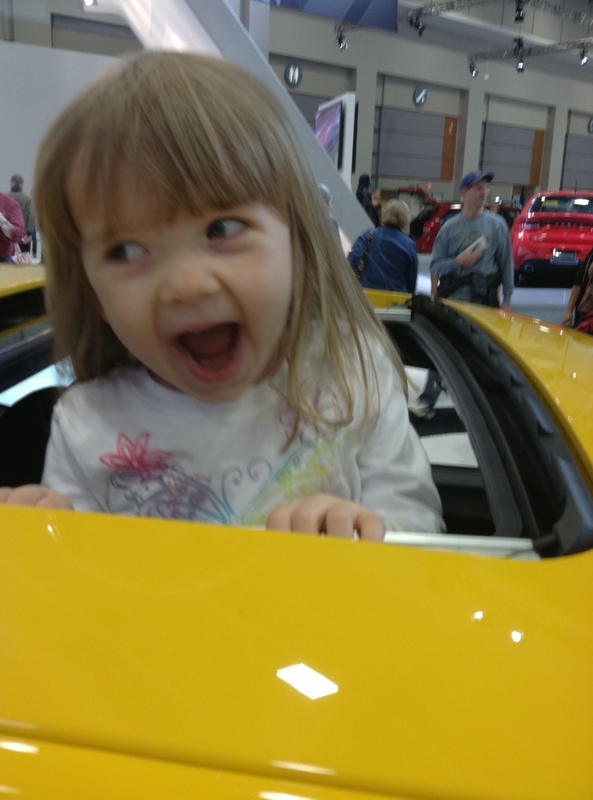 We started off with gymnastics, then out to lunch, some shopping, dinner with friends and then Sunday was a trip to the car show, a preschool open house and time in the wagon. But, we had a great time. After gymnastics on Saturday, we headed to lunch so we could scope out a potential birthday party location for Miss H’s upcoming third birthday. Miss H liked the food and we like the idea of a make your own pizza party. She loves to help me cook and we thought it would be fun to have a ‘chef’ themed party. So, one thing checked off the list! Kerry wanted to go check out some of the SUV options at the Washington Car Show so we headed to DC this morning. We saw all sorts of cars and Miss H enjoyed climbing in trunks, beds, cabs, backseats, front seats and just all over the place. 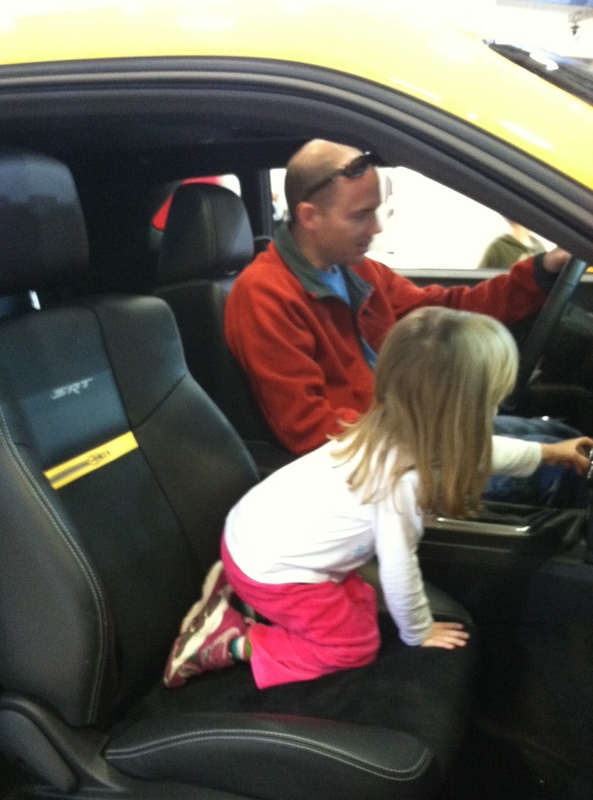 Kerry liked the Jeep Grand Cherokee. Miss H made sure all the buttons worked. 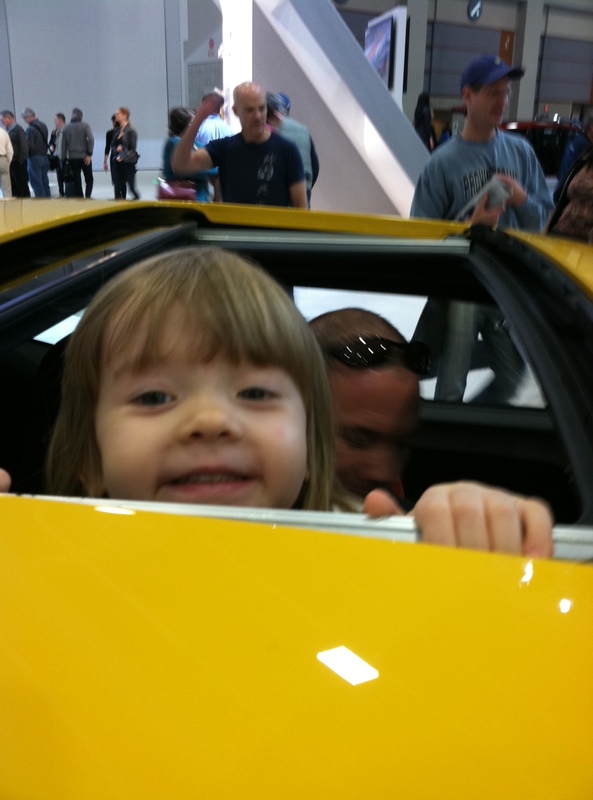 After viewing all the American cars, we headed downstairs to see the rest. 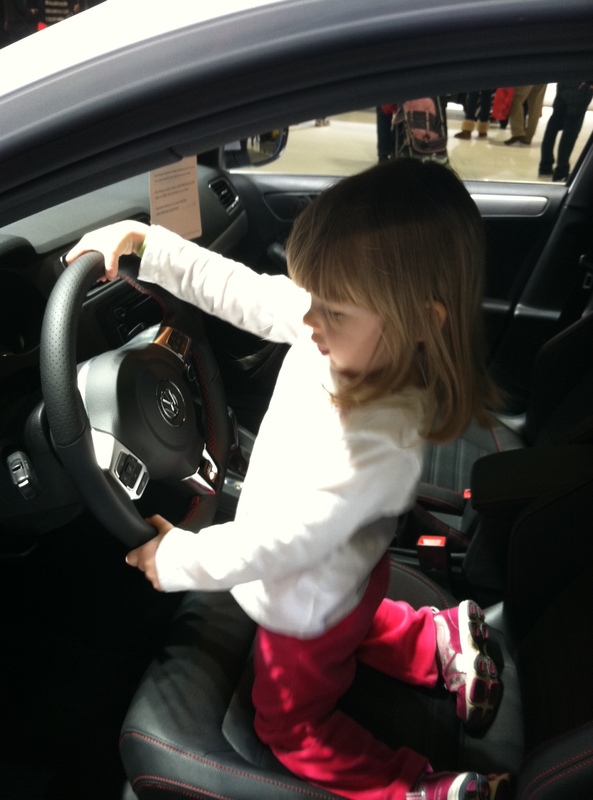 Miss H loved the Mini Cooper (and so did Kerry and I). I liked the hatchback Volvo and Kerry debated between the Nissan SUVs. It was a fun way to spend a few hours! On our way back to our rock star no charge Sunday parking space, we headed into Capitol City Brewery for lunch. Miss H liked the mini-corn dogs (without the corn part) and we were all re-energized from all the walking around the Convention Center. After we returned home, I headed to a preschool open house to check out another school. We have our top pick interview this week and then Miss H visits next week. We will keep you posted on our interviews. 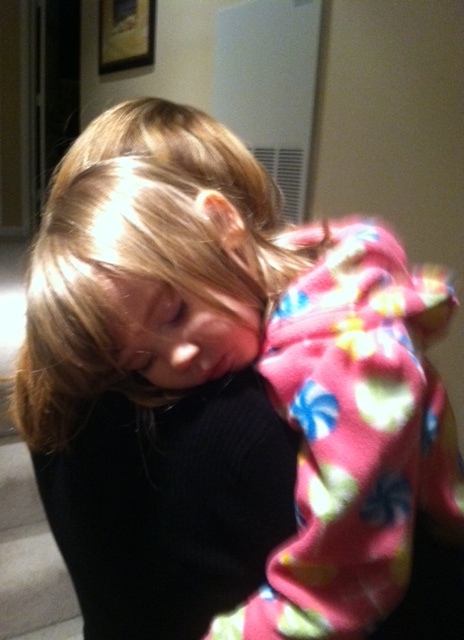 Now, Miss H is sound asleep and we are fading fast. Hope you all had a great weekend!